In this VTC MasterClass! course, audio expert and Producer Kenneth Braithwaite, focuses on Steinberg's classic and flagship VST Instruments & Effects. To begin learning today, simply click on one of the MasterClass! - VST Instruments & Effects Vol. 2 movie links. * VTC MasterClass! 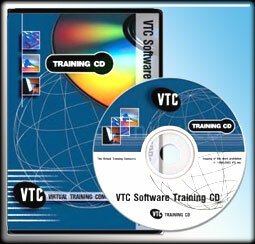 tutorials are available only to registered VTC Online University members. This VTC course will provide students with a thorough knowledge of Logic Pro 8's design, components and capabilities. The use of the included assets (Loop Browser, Soft Synths, UltraBeat, Sampler, etc) are also covered. All material is covered in a manner that will benefit both the beginner and the advanced user. Work Files are included. To begin learning Apple Logic Pro 8, click on one of the movie links. Windows SharePoint Services is an enterprise-grade web application platform that allows rapid development and deployment. VTC author Greg Dickinson will get you up and running with SharePoint, step you through the basic web development process, and show you how to manage SharePoint from a variety of client-side applications. You will also learn how to administer the server farm and perform basic maintenance tasks. To begin learning simply click the links. The topology tools within ZBrush are the key to great character design within the program. The understanding of how they work is an easy task to master, but the complexity of topology can leave the artist somewhat confused at times. This series ends the confusion by demonstrating the specific steps needed in order to avoid character development issues in your workflow. See how topology can change how you sculpt in ZBrush! To begin learning today, simply click on one of the MasterClass! - ZBrush Topology Workflow movie links. VTC's Sony Production Essentials tutorial covers 6 of Sony's fundamental production applications all in one course; Vegas Pro 8, Soundforge 9, Acid Music Studio 7, DVD Architect Pro 4.5, CD Architect 5.2, and Cinescore. Looking at aspects of the software from both a stand-alone and integrated perspective, users are guided through the basics of each application and ultimately directed towards being able to produce their own fully compliant, commercial DVDs. Many formats are covered including Standard, High Definition and Blu-Ray. To get started simply click on one of the movie links. Due to its reach, power and importance, it is now more important than ever to have a presence on the World Wide Web. In this tutorial, author James Gonzalez uses his Web design expertise and years of training experience to show you how to quickly and easily create basic Web pages and websites using Adobe Dreamweaver, Fireworks and Flash. This is not just a course covering the how of these applications, it also includes the theory needed to understand why and when to use them. At the conclusion of this tutorial, you will know everything needed to design and create attractive, effective Web sites and how to promote them using the top search engines. To being learning, simply click on any of the movie links. ZBrush 3.1 gives you access to unparalleled power and control previously unknown in digital art creation software. Controls enable sculptors to create with a stylus and a tablet as intuitively as if they were using their own hands on a block of clay. ZBrush further extends the creation experience, harnessing technology and providing artists with a multitude of creation-enhancing tools. In this VTC tutorial, Zbrush educator Jason Welsh teaches fundamental concepts that will allow users to become creative right away, without getting hung up on overly technical jargon. To begin learning Pixologic ZBrush 3.1, simply click on one of the lessons. An industry standard, Final Cut Pro delivers powerful and precise editing tools that work with virtually any format, from DV and native HDV to fully uncompressed HD. With multicam editing tools, advanced color correction and intuitive audio mixing, Final Cut Pro gives you more creative options and technical control than ever before. Whether you are editing a home video, or the next independent film that will take the world by storm, Final Cut Pro is the program to use. Taught by a professional editor, this VTC tutorial will teach the fundamentals of capturing video and setting up projects to editing and adding special effects, transitions, motion, titles and more. Join veteran Final Cut Pro editor Brian Culp, as he simplifies working within Final Cut. He'll even provide tips along the way to help you become a better editor and producer. To begin learning Apple Final Cut Pro 6, simply click on one of the lessons. In this course, VTC author, Brian Culp gets users up and running with Microsoft Office for Mac 2008. To begin learning today, simply click on one of the QuickStart! - Microsoft Office 2008 for Mac movie links. * VTC QuickStart! tutorials are available only to registered VTC Online University members. Java remains a scalable, object oriented, general purpose programming language, but it has moved beyond its days of simplicity. It now includes advanced features designed to speed and simplify software development. This course describes 184 running programs showing how the new features work. VTC author Arthur Griffith builds on your current Java knowledge by detailing these advanced features with simple explanations. To begin learning simply click the links. Microsoft PowerPoint 2007 is one of the most robust upgrades in years. With its easy to use interface and advanced set of creative tools, users will be able to create everything from simple sales presentations to full-blown multimedia productions. In this VTC course, author and noted expert John Kuhlman, takes users through the many new features of this essential presentation tool, including the integration with other Microsoft Office Applications. Work Files are included. To get started, simply click on one of the movie links. Microsoft Publisher 2007 is one of the most robust upgrades in years. With its easy to use interface and advanced set of creative tools, users will be able to create web sites, forms, business cards, flyers, calendars, greeting cards, signs, posters, email marketing campaigns and much much more! Pre-designed templates allow users to create professional files that can be printed locally, packed for a commercial printer, emailed or uploaded to the Web. This useful "how to" course by Microsoft Office expert Melanie Hedgespeth, uses practical examples for both home and business users. Work Files are included. To get started learning Microsoft Publisher 2007, click on one of the movie links.